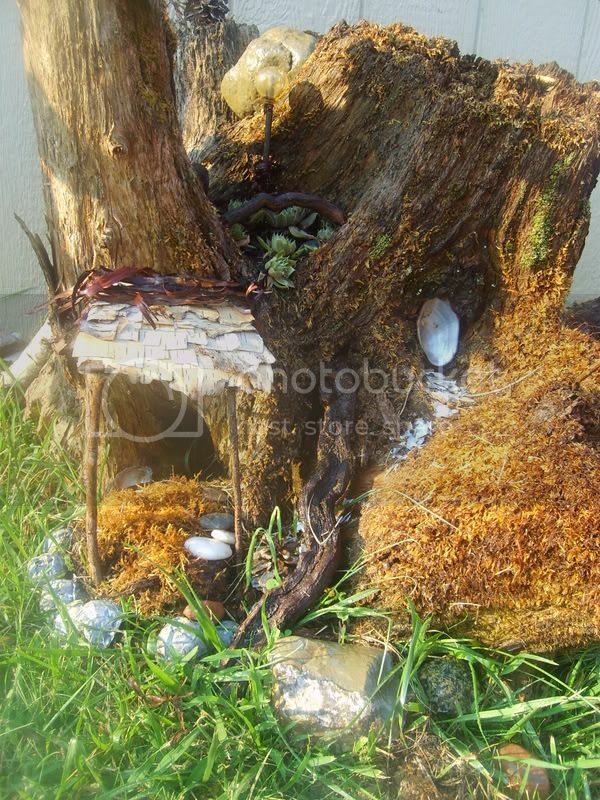 Here is a fairy house we made out of a stump I had my husband haul from our woods. WE used everything natural from our yard, except the 2 screws holding the awning in place. The complex....Notice the fairy slide to the right of the porch. Some other residents include Tree Frogs and Ladybugs. That's so awesome! 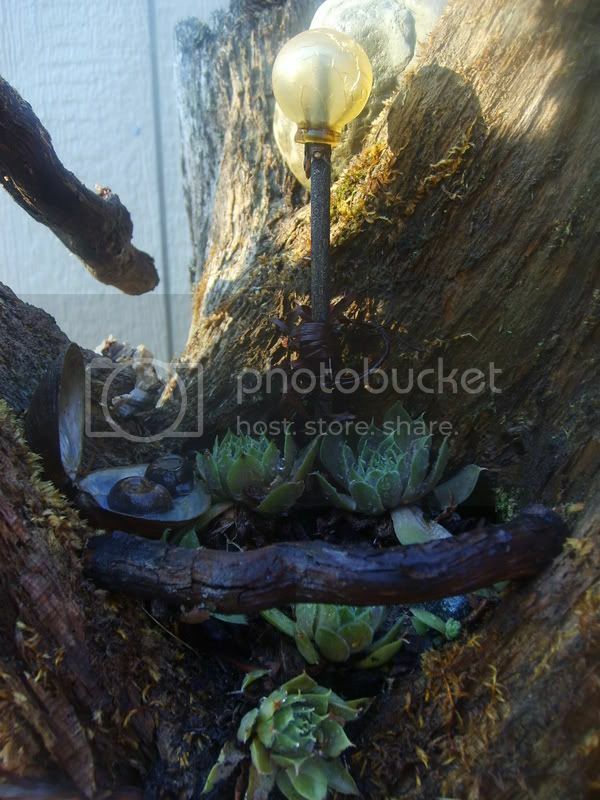 I have the perfect stump to do something similar. Hope you don't mind if I use the idea!!! Totally go for it!!! I would LOVE to see pictures too! 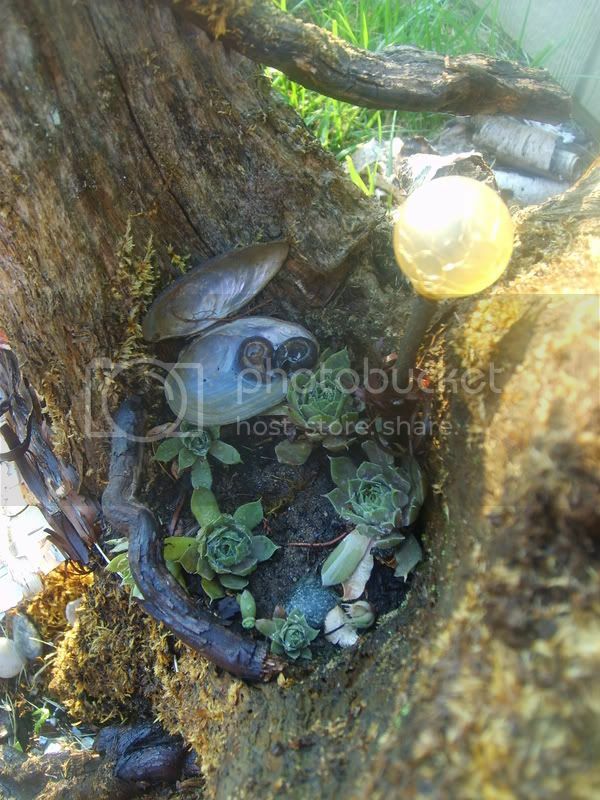 My backyard reminds me of that movie Fern Gully so I had to create!!! We have a 2 and a 4 year old and it is awesome to take them into the woods and look at the mushrooms, moss and twisted roots from the once upon a marshland! It is awesome! I am FROM the city, and i prefer this. It is serene. It gets my imagination rolling along with my daughters. I feel like a kid again sometimes. Especially in the summer when there are GLOWBUGS everywhere! wow, what a great idea! 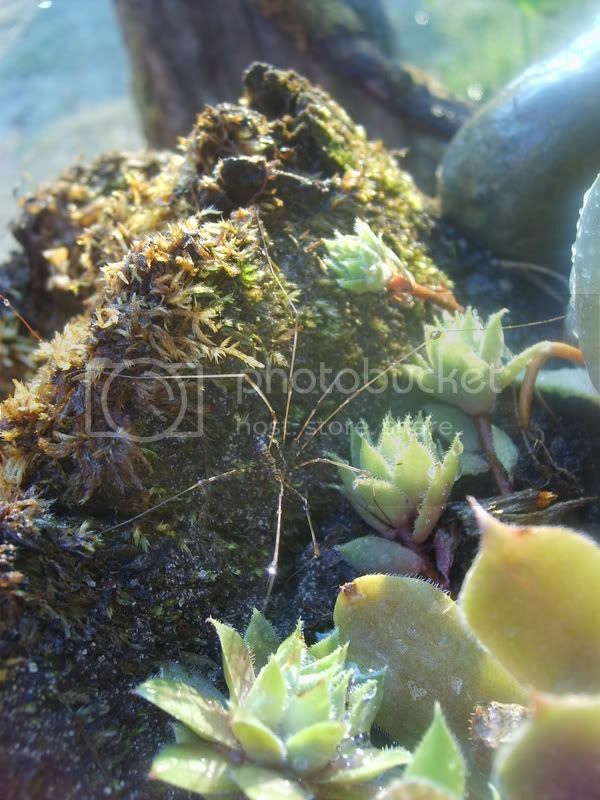 maybe when things thaw out up here I'll do something similar. You did such a great job! I love the porch and the slide! Do you say 'yes' to a single desire? Oh, my friends, then you say 'yes' to all pain. how on earth did you come up with such an Amazing idea? Thanks!!! I can't wait for them to thaw here too. This was actually last summer.... 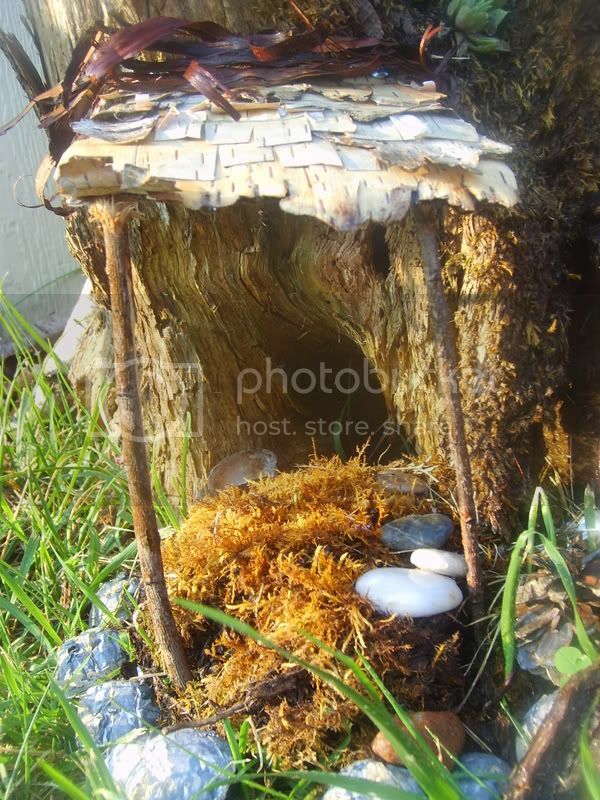 I just decided to post because there is a fairy house craftalong. I already had one done and thought it would be appropriate to share! I LOVE it!! That is so beautiful!